March | 2010 | Ipoh Mali Talak Sombong! The food bloggers finally made it to Ipoh! I think we planned this trip for 2 years and we only got it executed two weeks ago. Wooo, finally! When Precious Pea told us she will be back to Malaysia for 2 months for Chinese New Year, we immediately choose a date that suits everyone and came up with the itinerary. I’m not gonna put the trip or the places we stopped in sequence as I’m sure you can read about it at WMW or Precious Pea’s blogs. 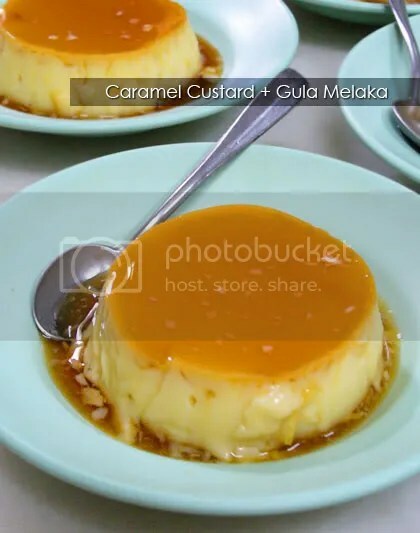 We did stopped by in Ipoh Old Town for the caramel custard (nicknamed “elusive caramel custard” because it’ll usually sold out by 10am and sometimes earlier, especially on weekends). The grumpy-looking aunty that served us seems rather unfriendly, but she did smiled a bit when she saw us busy snapping away. Priced at RM2.10, it came with a glass of water too. I found the custard nice; wobbly, eggy and slippery smooth but the brown sugar syrup has a weird taste to it, which I don’t know how to describe it. Teckiee agreed with me, while WMW found it overall nice, though. 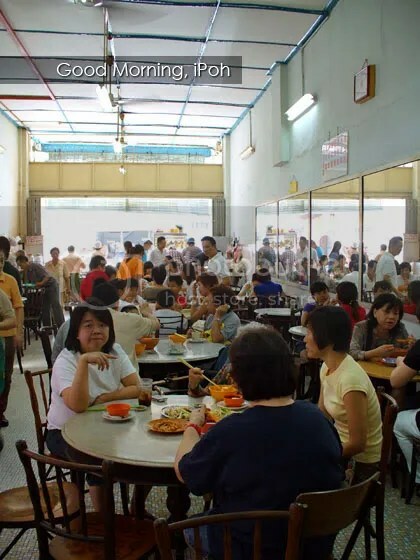 Jackson ordered a bowl of Chicken Hor Fun (RM 4.50) to be shared. 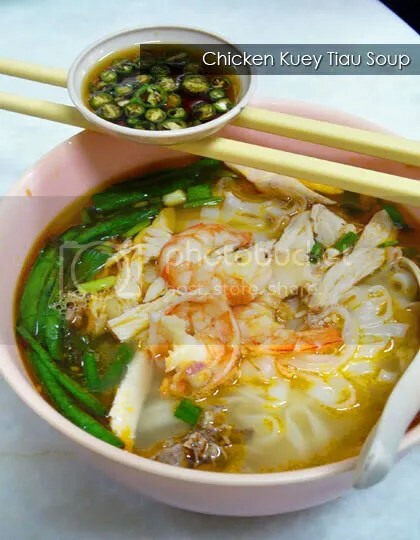 Since we took our time to snap photos of it, the noodle eventually soaked up most of the soup by the time we dig it. Very standard Ipoh hor fun. The soup was sweet with mild prawn taste. It was good to meet up with Precious Pea again after she moved to Melbourne, but she came back to Malaysia for Chinese New Year. It was a week after Chinese New Year and it was pouring heavily. We (WMW, Precious Pea and me) were waiting in Precious Pea’s car by the roadside, somewhere around SS3 for Teckiee to show us the way to SS3 night market, where WMW raved about a good yam puff (that would be in another post). After we managed to grab a few pieces of the yam puff, we went straight to Hua Xing at Sungei Way to meet up with Jackson. 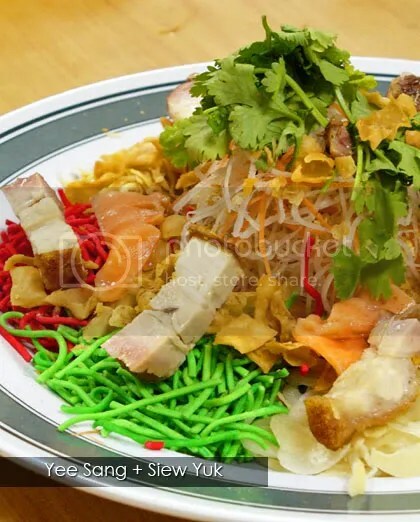 Since it was Chinese New Year, yee sang is a must but we kinda tweaked it by adding in roast pork (siew yuk) that Precious Pea and WMW bought from Damansara Kim before this! Siew yuk sang, anyone? We left the ordering task to WMW as she has been here few times before this. 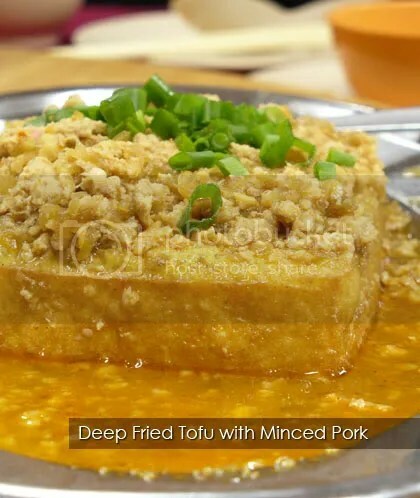 First to arrive to our table was the deep fried beancurd with minced pork, chopped choy pou and spring onion, all bathed in a scrumptious gravy. The fragrant toppings and the gravy complement the beancurd nicely. Usually a hit with children (in this case, us too! 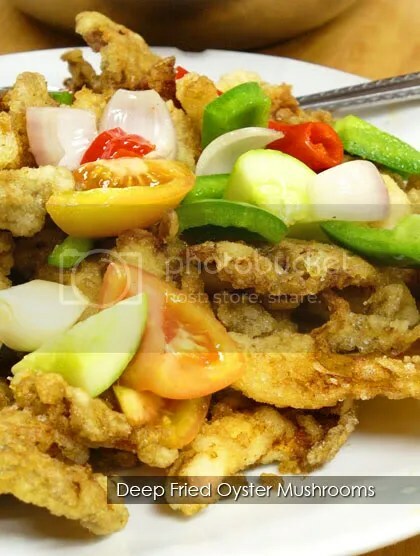 ), the deep fried oyster mushrooms with sweet sour sauce (we requested them to serve the sauce separately) was a delight to bite into as the batter coating the mushrooms were light and thin and weren’t greasy. If I am to choose my favourite dish for the night, I’ll pick this one. 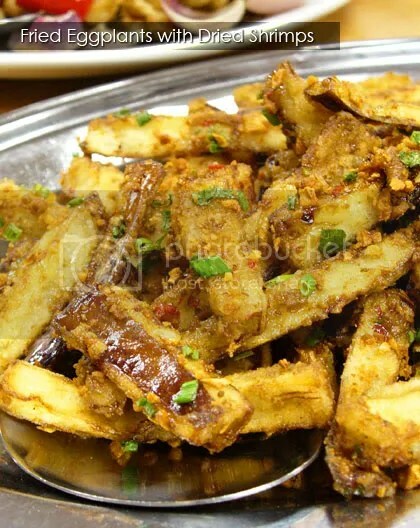 The deep fried eggplants stir-fried with garlic, dried shrimps and topped with spring onion was very addictive and definitely has won me over. I have to admit that I do not eat eggplant previously because of its squishy, mushy texture but this dish successfully change my mind. Last but not least, some meat to satisfy our meat cravings. 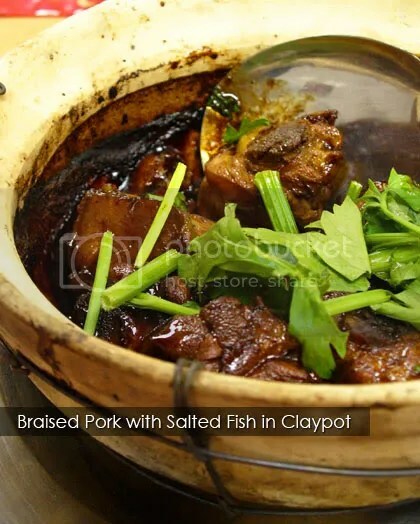 The pork with salted fish exudes a lovely aroma but when we digged in, we found the dish lacked the salted fish flavour. Certainly, there’s still space for improvement for this dish. To get here, from Federal Highway (towards KL direction), after passing the 2-storey flyover at Motorola, keep left and go straight till you see signboard pointing to Sungei Way. Take the ramp and you will reach a narrow lane going slightly uphill with shophouses on both your left and right. Plaza Seri Setia is located at the back of the shophouses on your left. Take the lift to first floor and turn right. The restaurant is located just next to the lift. 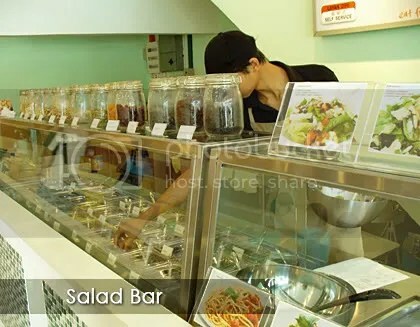 The Salad Bar opened its doors to the public not long ago, located at the same stretch of shophouses with Hong Leong Bank, facing the open air car park space. Normally, I would not wander into this area as it is located quite far from my office and walking there under the blazing sun is a big NO NO for me. However, my colleagues were ambitious enough to brave the hot weather, so I couldn’t say no. The place is clean, bright and simple. 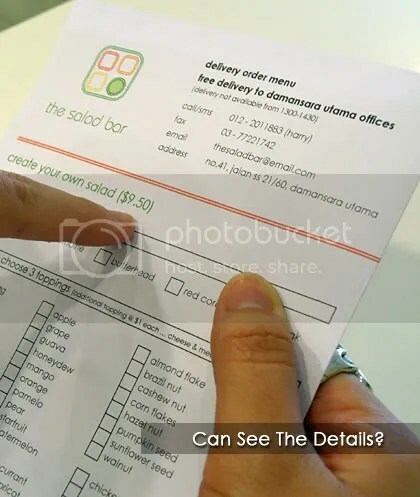 All you need to do is go to the salad bar (with menu and today’s set above it), tell the waiter your choice of salad or create your own salad by specifying the greens you want, dressing and extra toppings. Pay at the cashier and wait to be served. 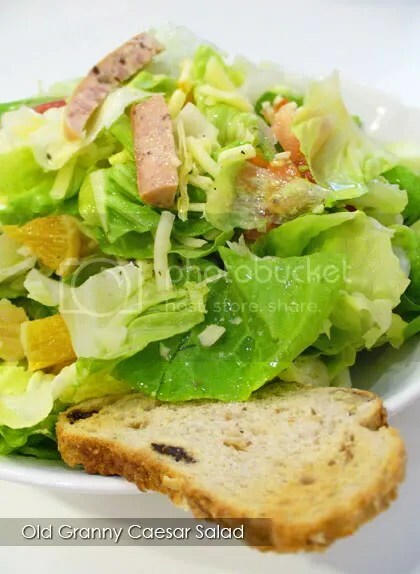 Their salad portions are quite big, and the names are rather quirky, such as this Old Granny Caesar Salad (RM 11.90); iceberg lettuce, orange, tomato, grilled chicken (Amy substituted it with chicken sausage here) and grated cheese. Han went for their set of the day (choose from either salad + soup or sandwich + soup). The L.C.C.T. 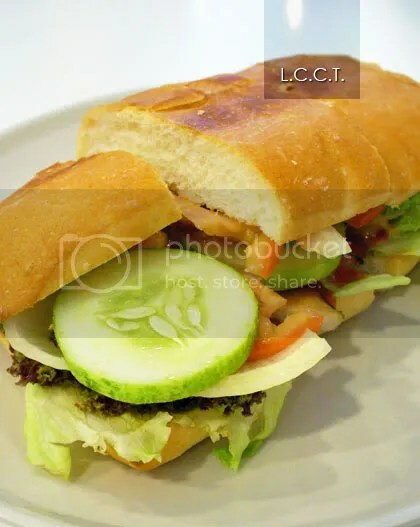 (lettuce, chicken, cucumber, tomato in panini bread) sandwich was decent; the soup of the day was carrot soup (RM 9.90 per set). 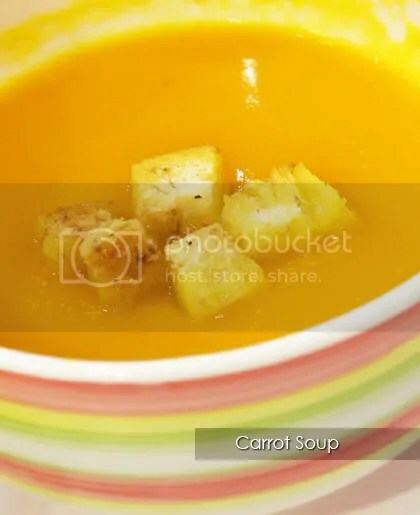 The soup was quite tasty and not watery, which is much to her delight as she was rather skeptical of having carrot soup at first. Janise’s High Enery Superman salad (RM 11.90) also came in big portions of red coral leaves, corn flakes, pumpkin cubes, chicken sausage etc. 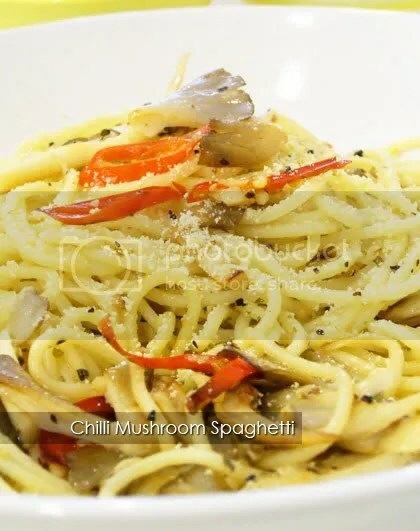 If veggie alone is not enough for you, they have pasta too. The norm one would be cooked with tomato puree or veggie for vegetarians. I found that my Chilli Mushroom Pasta (RM 7.50) was rather tasty yet simple with chopped mushrooms, chillies, garlic and parmesan cheese. Too busy to go to the shop? 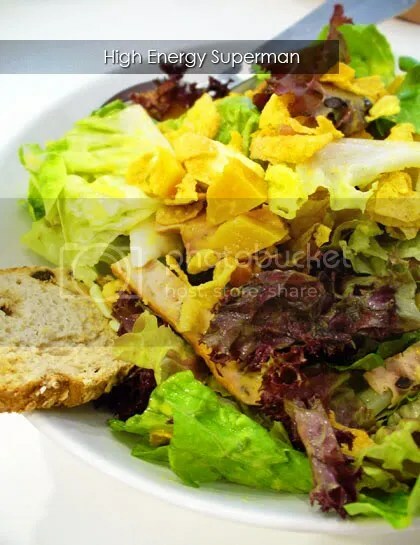 The Salad Bar also do free doorstep delivery (except from 1.00pm – 2.30pm) to offices around Damansara Uptown. Forms are available at the counter.